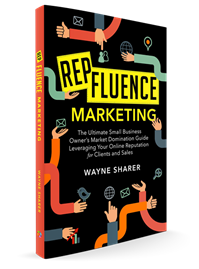 The videos here are real case studies from the RepFluence Marketing Method: 10X Market Retargeter. The 10X Market Retargeter is the capstone to the RepFluence Marketing Method, but stands on its own as a powerful way to increase your response from web visitors to your site. This display advertising method employs both cold and remarketed traffic in a unique digital funnel us and our partners uniquely developed to 10X your exposure, while reducing your costs by 60% or more. The case studies show both cold and retargeted traffic results.